One of A Kind Bags There are 15 products. Unique one of a kind vintage boho tote bag with pom pom's handmade in Thailand. 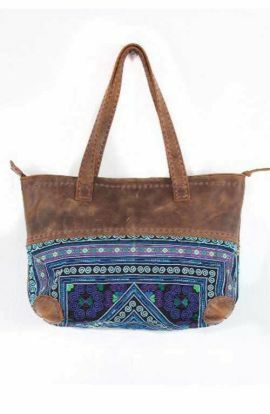 This boho bag is the perfect shoulder bag for carrying essentials like makeup, wallet, phone and still leave some room. Height 14" Width 14" Strap Height 12"
A unique pink crossbody bag with tassels handmade in Thailand. 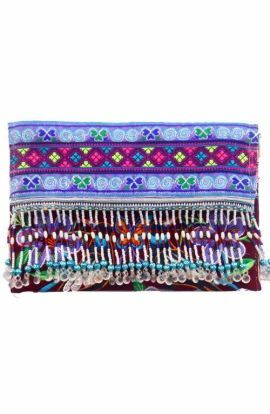 This boho bag with pink cross-stitch embroidery is the perfect shoulder bag for everyday use . 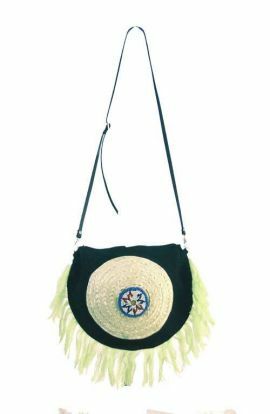 Approx: Length 11" Width 10" Strap 44"
Half Moon Vintage Bag handmade in Thailand. 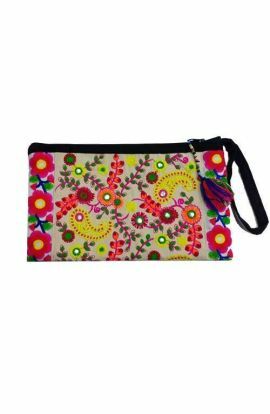 An alluring pink bohemian gypsy style hard case Indian fabric clutch purse or stylish sunglass case handmade in India. 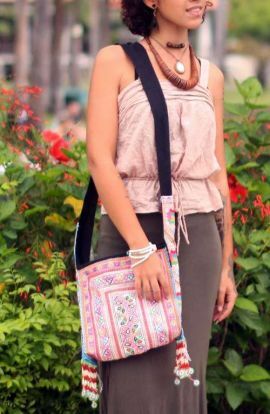 Length 7.5" Height 3.5" Width 3" Removable Chain Strap: 44"
A bohemian style cross body bag with vintage bag is the perfect shoulder bag to team up with a casual outfit. This boho bag is perfect for everyday use. 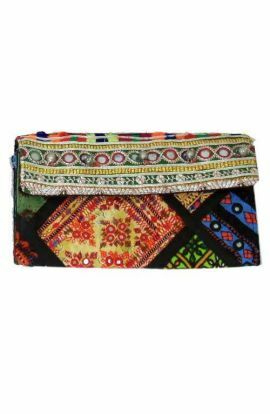 Limited supply of our small bohemian purse, great for a night out to fit your accessories.